What Are You Buying in Ocean Springs, MS, Biloxi, MS or Gulfport, MS? Homebuying and home selling inspections in Ocean Springs, Biloxi or Gulfport, MS or Surrounding Areas? Are you selling your home? Are you searching for a house to call home? Before you make a deal, call Housewright Home Inspections (MHIB#0710) first. You never know what’s lurking behind the walls or wreaking havoc on your home’s foundation. We’ll give you the facts about your home and make sure it is safe for living. We inspect homes in the Ocean Springs, MS area for buyers and sellers. We perform thorough home inspections in the Ocean Springs, Biloxi, Gulfport areas. You’ll feel confident about your home selling or homebuying process once we’ve completed your inspection. With many years of experience in the construction industry, the Housewright Home Inspections team is highly qualified and deeply committed to providing you with top-quality inspection services. 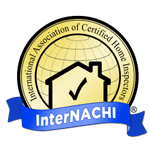 We make sure every home is in compliance with the Standards of Practice (SOP) guidelines set forth by InterNACHI and the Mississippi Home Inspectors Board (MHIB). Call 228-382-7009 to schedule an inspection with Housewright Home Inspections of Ocean Springs, MS.